Hello! 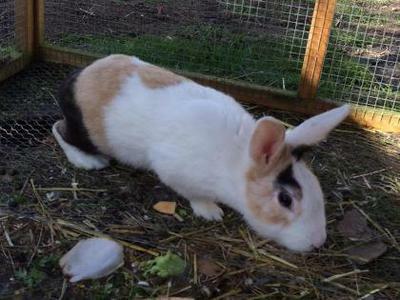 We are picking up these two bunnies from our local rescue centre on Saturday, and I'd like to know what breed they are. Does anyone have any ideas? We know 'Dawn', the brown female rabbit, is very friendly. 'Steve', the tri-coloured rabbit is active and likes exploring, apparently! 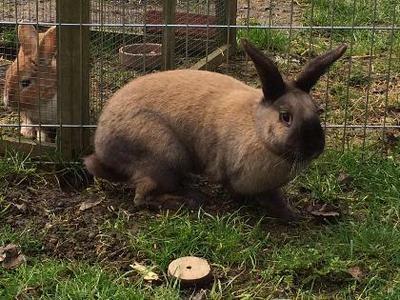 Comments for Can anyone help us identify the breeds of these two rabbits? Thank you so much , that's really nice to know and we've been enjoying looking up pictures of American sables! the one with the black mask is a american sable, and the other one is a plain american. the one with the black mask is a american rabbit (siamese american rabbit). The other one is american, too.